One of the ways that true growth and development occurs within a practice community and its membership is through the continued deepening of extended practice periods and inquiry into mindfulness teachings. Practicing together each day from early morning into the evening abruptly shifts our habitual attention and mind-spin requiring retreatants to maintain stillness and silence in the face of our otherwise well-honed mind habits. In deepening our practice during retreat, we then return to daily life renewed, rested and having made intimate contact with our own true self, restored and transformed. Retreat practice by its very design is time-out from our daily required responsibilities, allowing for a richer, deeper and more connected experience to self and other. Retreat practice harnesses the collective energies of a similarly-intentioned group towards the development and cultivation of compassion and mindful awareness during our time together. This intensified aspiration and seamless practice during retreat time, facilitates greater insight and clarity in regards to the truths of impermanence, unsatisfactoriness and unreliability. Reality is seen most clearly in retreat practice, which frees the participants from the self- preoccupations and delusions to which we cling in everyday life. This is an important experiential discovery that retreat practice inspires and invites. The refuge of deepened stillness and silence that is then embodied, allows practitioners to return to daily life with a steady mind, open heart and deeply felt sense of interconnection to all beings. Retreat practice is a necessary and powerful aspiration in our practice development and evolution. We continue to grow and expand our practice together through retreat, held in the infinite arms of the sangha of beings with whom we share our practice path and aspirations . If you have not attended a retreat or extended practice period before, NOW is the time to set the intention and begin. We are committed to offering you the support you need to manifest this shared aspiration. It is our mission and commitment to be on this mindfulness path with you. We have gone through exceptional measures to make these opportunities as affordable and accessible to you as possible. We look forward to the opportunity to share retreat experience with you. EMC offers a spring and autumn retreat each year at Questhaven Retreat Center each year. Click here to see the Questhaven Retreat Center and its sacred grounds. Led by Diana Shimkus, Founding Teacher of EMC, with the Encinitas Mindfulness Community (EMC) and friends. Participation in the retreat does not require attendance in the Tuesday study series. RESIDENTIAL RETREAT OPTIONS SOLD OUT. ONLY COMMUTER OPTIONS REMAIN FOR THIS RETREAT. Please contact, Cary Joel, retreat manager at czjlaw1@yahoo.com. Please see below to get more information and registration for the SPRING Mindfulness Retreat. This retreat will be held from Wednesday, April 3 through Saturday, April 6, 2019. During the retreat, we will be expanding our practice, inviting deeper inquiry into aspects of mindfulness and its tenets including: Cultivation and expansion of the four brahma viharas of lovingkindness, compassion, appreciative joy and equanimity. We will be investigating and working to make contact with the natural boundless heart that we already have and to expand and develop our own essential good and tender hearts to become more inclusive, more fearless, more tender and more natural. In addition, Diana will be offering a silent retreat option for those who are looking for time in silent practice with daily interviews. Diana will meet with all participants at the start of the retreat to establish an individual practice intention and plan, developed specifically for the practitioner's current practice edges. There will be food service provided for this portion of the retreat. Both residential and commuter options are available for the silent retreat. Specific sitting periods will be established for those who cannot stay for the evening practice. 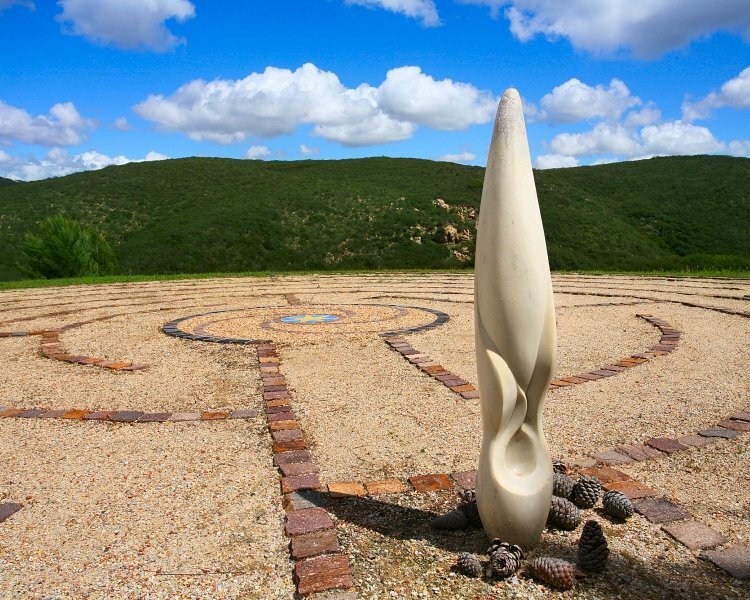 All RETREATS are held at: Questhaven Retreat Center San Marcos, California. Questhaven is nestled among chaparral-covered hills in north-east San Diego County. The grounds encompass one square mile of coastal wilderness traversed by several miles of nature trails offering hilltop vistas, shaded oak sanctuaries, wayside shrines, seasonal streams, and a variety of wildflowers, birds and wildlife. From time in nature, we find release from the stress of our daily lives and come to the pristine stillness and silence of pure awareness. Commuter - 4 days $145 (after 3/27 = $170) -- includes GUIDED retreat with meals begins on Wed. April 03 at 3:00 PM. Commuter - 6 days $225.00 No meal option until Wed. April 3 dinner. Lunch meals available from 4/4-6. Residential - 4 days, 3 nights $357 (after 3/27 = $420 ) -- Guided retreat begins Wed., April 03 at 3:00 PM. Residential - 6 days, meals start Wed dinner. Early bird pricing $450.00 until 3/27/19. Early Bird Pricing - 15% discount if paid before ____________. Scholarships are available. Please contact Cary Joel, EMC Board Member for more information at czjlaw1@yahoo.com. $35 Dana for those not in a current Mindfulness course. Please RSVP if you wish to attend any portion of the day. Questhaven Retreat Ctr, San Marcos, CA. All retreats are held at Questhaven Retreat Center. Questhaven is nestled among chaparral-covered hills in northern San Diego County. The grounds encompass one square mile of coastal wilderness traversed by several miles of nature trails offering hilltop vistas, shaded oak sanctuaries, wayside shrines, seasonal streams, and a variety of wildflowers, birds and wildlife. Wandering these trails, we find release from the stress of outer lives, and come to the stillness and quiet necessary to awaken our inner lives. *We are grateful for the use of this space. There is no affiliation with Questhaven Retreat Center or Christward Ministry.